Hello! How's it going? Well I'm back after a bit of an unplanned week away from this computer. Some projects at home and work left me with just enough energy at the end of each day to do mindless things like watch TV and read before falling asleep about 30 minutes later. The struggle is real sometimes when you work full time and blog on the side! But it's all good. I've learned to honor and listen to my body when it's tired and take time away from blogging when necessary - and not feel bad about it. Ya know what I mean? 1. Preheat the oven to the temperature stated on the box of brownies. Line the bottom of two 8in round cake pans with parchment paper. 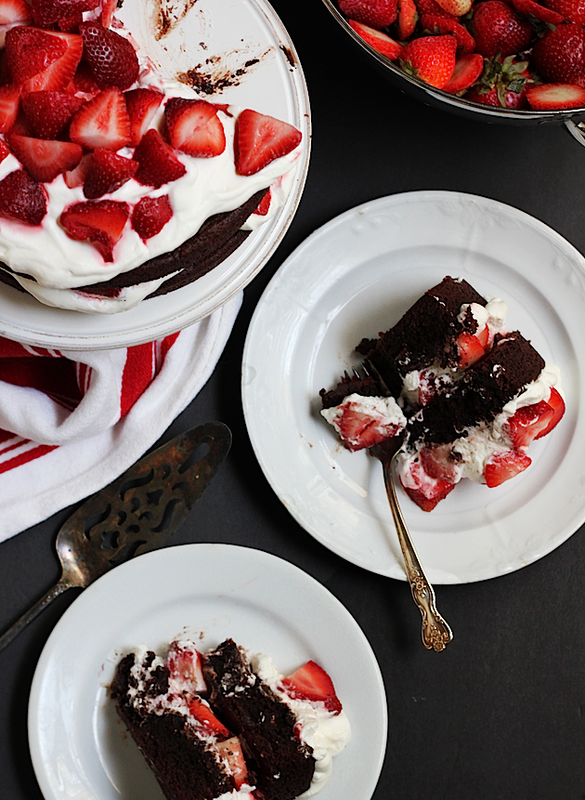 I use these cake pans and love them. They are the real deal. Spray the bottom and sides of the pans with nonstick cooking spray and set aside. 2. Add the brownie mix, eggs, water, and oil, and chocolate syrup (if it was in the box) to the bowl of an electric mixer that is fitted with a paddle attachment. Once all of the ingredients are combined, divide the batter between each pan. Bake according to the instructions on the box. I baked mine for about 35 minutes so that they would be a little fudgy. Let them cool completely in the pans. Once they have cooled, carefully turn them out of the pan. You might need to run a paring knife around the sides to make sure they release easily. 3. To make the fresh whipped cream, pour the heavy cream into the bowl of an electric mixer fitted with the whisk attachment. Whip until you almost have stiff peaks. Fold in the sour cream with a spatula. If using cool whip, simply fold in the sour cream. 4. Place one layer of the brownie on the bottom of a cake server. Spread about half of the cream on top of the brownie. 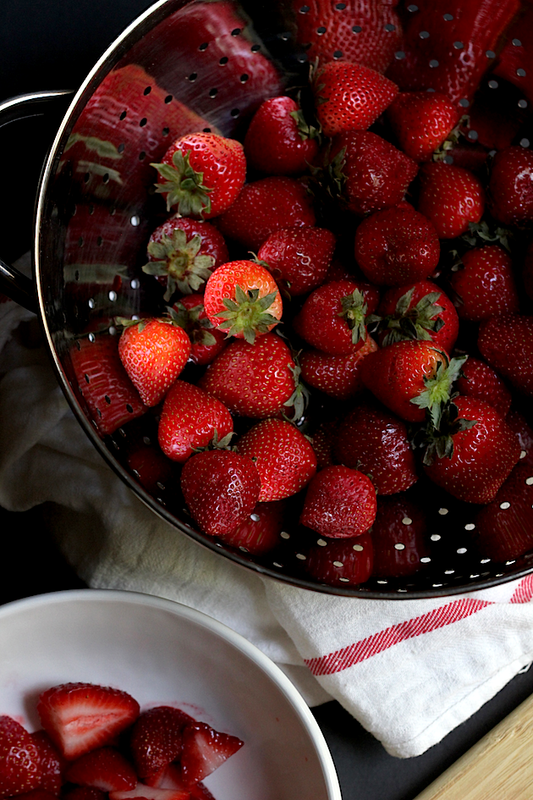 Top the cream with strawberries. 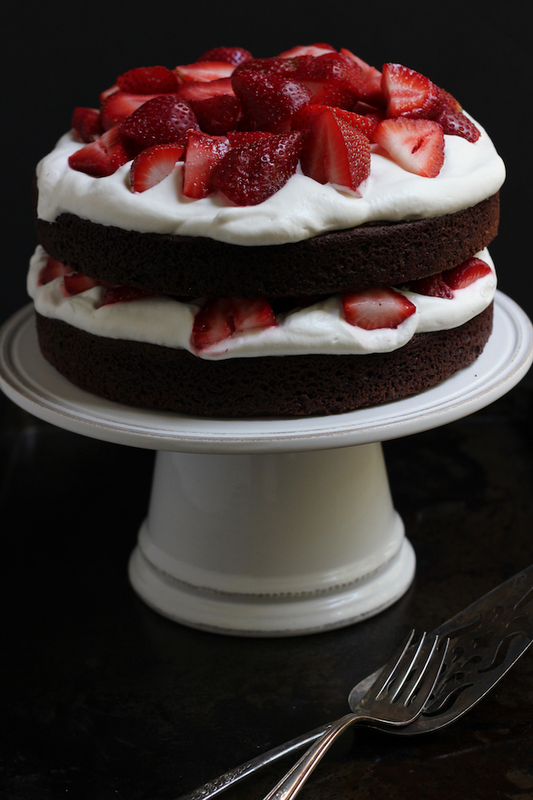 Place the second layer of the brownie on top of the first layer and top it with the remaining cream and strawberries. 5. Slice it (it will be a little messy, but thats the way it should be! 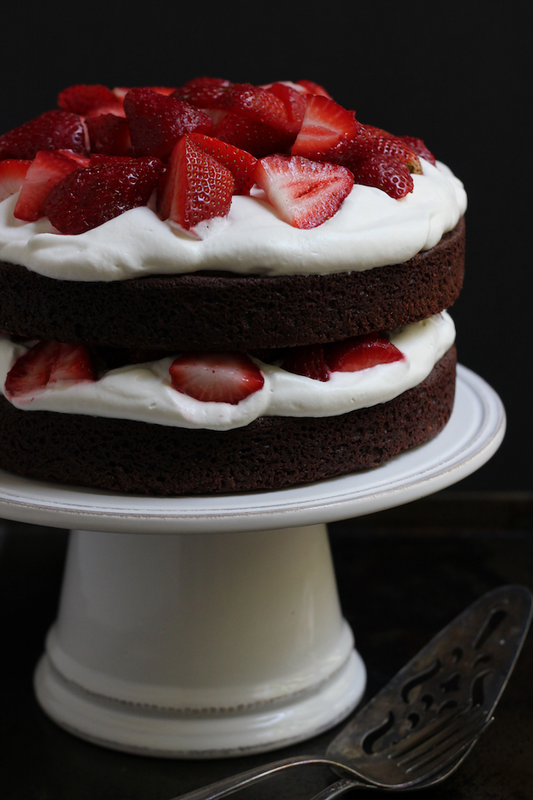 ), and serve with little side of strawberries and extra whipped cream.